Dancing in a run of shows is a marathon and not a sprint. Many contemporary dancers rarely get the chance to perform in shows that last longer than two nights in the same venue before packing up and leaving for the next town. So when we are faced with more than a few shows how does our body cope? We all know that over use of particular muscle groups can lead to injury so how do we avoid this when we are expected to repeat the same movements sometimes up to 4 shows a day and also keep the performance as fresh as the first time. 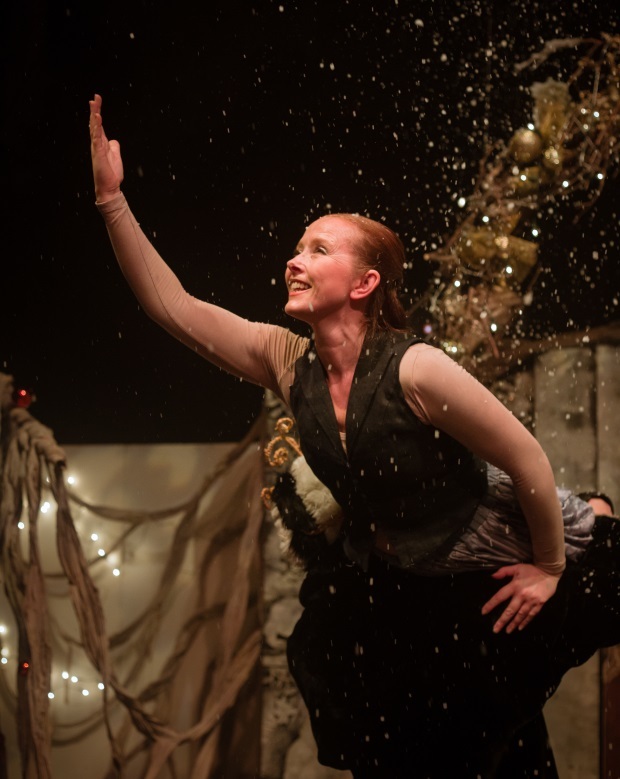 Through my work with Loop Dance Company I have had the opportunity to collaborate in the creation and performance of a critically acclaimed children’s immersive theatre production designed for the Christmas season now in its 7th year. 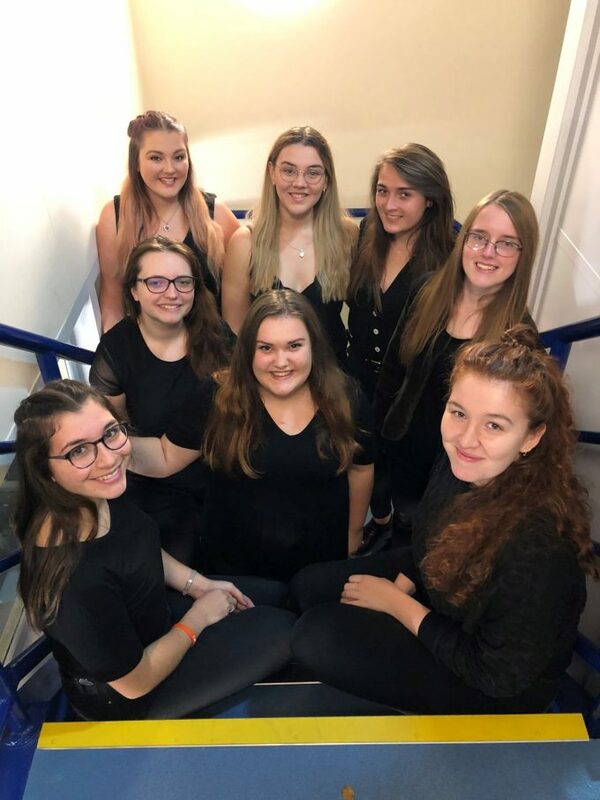 Every year the piece is brand new; the concept brainstormed in the spring, the script written in the summer and the show devised in two weeks of intensive rehearsals in November. 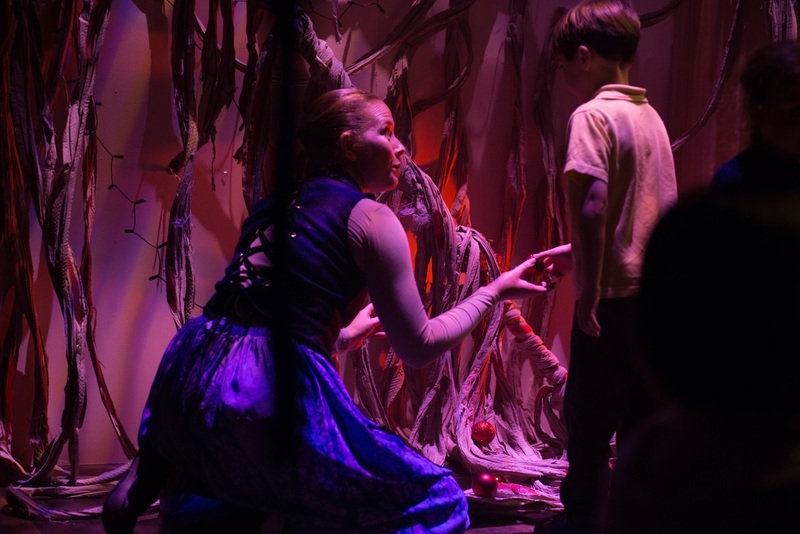 This year the ‘run’ was 63 performances, many days with 4 shows a day, every one of them will have the fresh eyes of our target audience aged 3-6 years who are a tough crowd to entertain at the most exciting time of year! An adequate warm up is crucial of course but also one needs to be careful not to overdo the warm up. The warm up needs to change otherwise we risk muscle imbalance from this repetition on top of the performance repetition. The subsequent shows of the day also need a thorough warm up but one that is different to the last. I find myself moving from traditional dance warm up to yoga, fitness and Pilates style training and always end the day with a good stretch, even when the theatre manager is jangling his keys. My mantra is “my body my job……he’ll get over the wait if I smile!” Fuel and hydration are also essential factors, avoiding sugars and ‘fast energy’ and opting for complex carbohydrates that give a sustained energy release. Finally after care; a hot bath after the 4 show days, some time spent on my foam roller and when a ‘niggle’ appears then the ice and hot water bottle trick before bed is a must! Saying no to the offers of a little Christmas cheer until after the run is also a must. The actors may be able to say yes but for the dancer a night on the booze will mean dehydrated muscles the next day….it’s not worth the chance! This year was tough for me as I started the rehearsal period with a flare up of an old injury on my Achilles. Any dancer knows that an Achilles Tendon injury is stuff of nightmares! Once it is damaged a long recovery is on the cards and at worst a spell in a cast! Entering the cold studio armed with thermal socks, layers to pop on when I’m not the focus of the directors attention and my trusty tennis balls to roll my feet (many of the ankle and calf attachments are in the sole of the foot!) without a doubt are the reason I made it through without breaking! I am both choreographer and dancer in this project, working with the director to create the movement material. I have learnt how to stay in character, echoing movements and following the other characters when I’m not dancing, this may sound obvious but for dancers it’s not something we are used to doing. Interacting with the audience is essential in this style of work, they are young and scare easily so being gentle yet fun is a quality I try to emanate. It is vitally important to be honest with yourself as well as the director in the creative period and remember that doing a backflip might be fun once or twice however; you have to make it to the end of the run and then go onto the next job. Finding a balance between challenging your physicality but being realistic about your body’s limitations is a teetering fine line, the finish line is an ever moving idea! Nina is the Founder and Artistic Director of Loop Dance Company, 0.5 Lecturer at Canterbury Christchurch University leading modules in Limón technique, Dance in Society and Professional Practice and a Visiting Lecturer at University of Roehampton. Nina is an advocate for the development of emerging dance artists and has mentored many fledgling artists. This form of career development formed the theme of her MA dissertation, exploring methods of best practice in an ever-shifting ecology.